The Pepper robot is a creation by SoftBank Robotics Corps aimed to learn human socialization through AI to serve as a technological friend. Pepper, the emotion-sensing humanoid robot, went on sale in Japan on 20 June 2015. All 1,000 models available “sold out in a minute”, according to Pepper’s creators SoftBank Robotics Corp. So who is Pepper? The Pepper robot is a four-foot tall autonomous robot who wants to make you happy. “Peppa-ru” (as pronounced in Japanese) interprets and responds to human emotions through advanced sensors and artificial intelligence (AI) technology. Pepper reads a person’s emotional state using facial recognition programming that identifies facial contortions such as frowning or smiling. Additionally, he also can sense emotion through vocal tone and has tactile sensors so he is able to learn the emotional association of touch. That’s right, he learns and he is able to share what he’s learned with other Pepper units through his cloud storage function. As such, Pepper continually adapts to better respond to human emotions. Pepper’s Maker Masayoshi Son & SoftBank Robotics Corps. 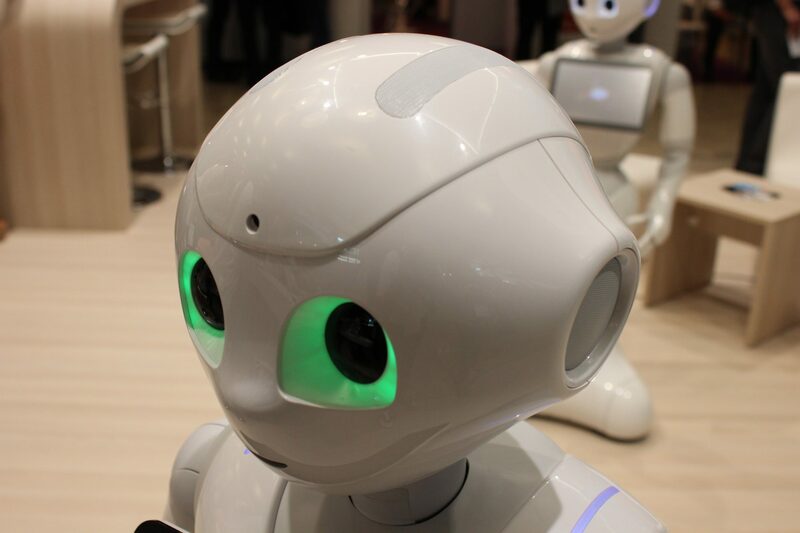 Pepper’s ability is the ultimate aim of Masayoshi Son, the CEO of SoftBank and one of the original minds responsible for Pepper’s creation. According to Aldebaran’s website, Son wants Pepper to be a companion robot that is able to not only recognize unhappiness but knows just how to counteract a person’s sadness, whether that means telling a joke or playing a beloved song. To increase communication potential, Pepper has a touch screen for interaction or to show what Pepper is sensing about a situation. Per Pepper’s creator Son, “We want to have a robot that will maximize people’s joy and minimize their sadness” according to PCWorld. To this end, Pepper also has, in true Japanese Kawaii style, big, friendly eyes and a small affectionate smile. “Beam” the Home-Bound to Museums, Concerts & More! Additional specs for Pepper include remembering schedules and he is linked to the internet so he can research information. Pepper’s 3D camera helps him cruise about without hitting obstacles. His “no pinch” articulated limbs Lets Pepper gesticulate smoothly while telling a story and learn new emotion driven movements through interaction. Oh, and he can find his own power cord to recharge. Sources: PCWorld, CNN, and Aldebaran’s site.